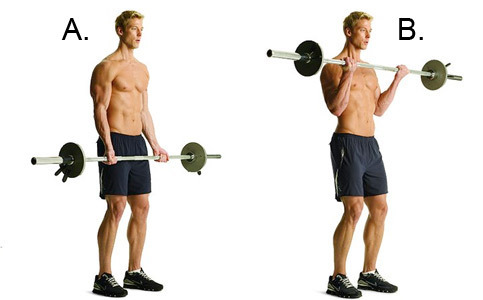 Inhale and flex your arms with an isometric contraction of your glutes, abs and spinal to not swinging your torso. 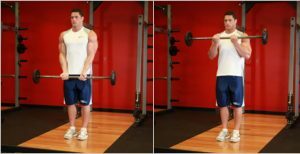 This exercice works mostly biceps, brachialis and a little bit the brachioradialis, the pronator teres and all the flexors of wrist and fingers. 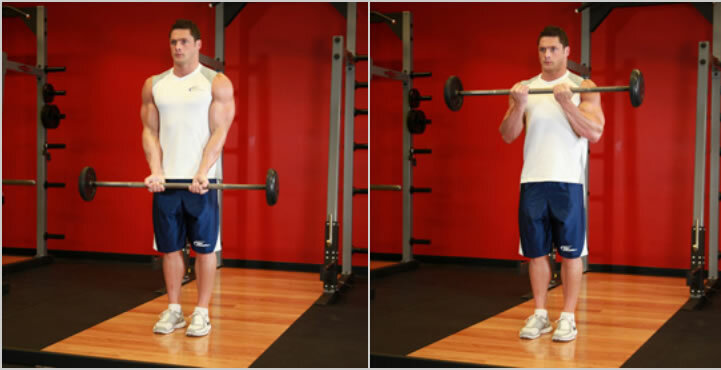 When you raise elbows at the end of flexion, you increase biceps contraction and you work the anterior deltoids. You can do this exercice in a strictly way with your back to the wall without lifting your shoulder blades.